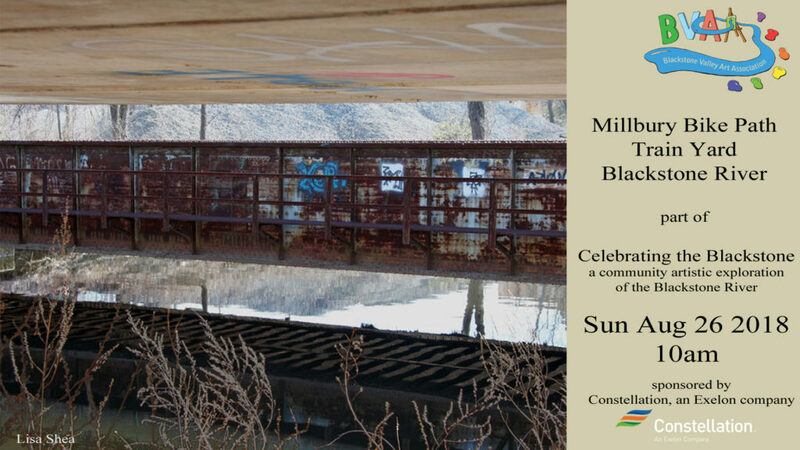 Come on out for a free, fun photography workshop along the Blackstone River! 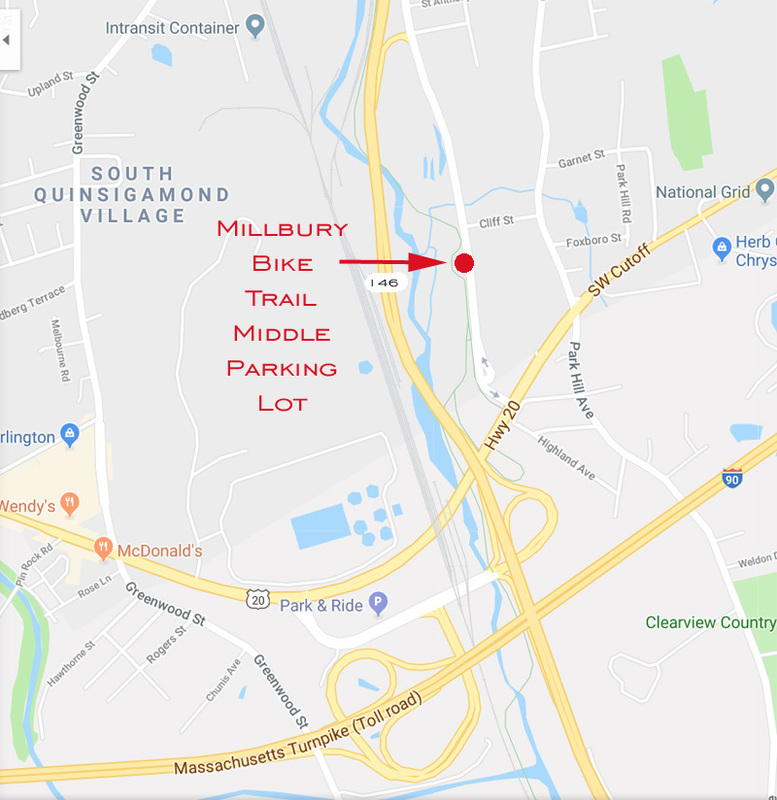 The Millbury Bike Path is part of the plans for a long bike path / walking path / celebration of the entire Blackstone River from Worcester, MA to Pawtucket, RI. The stretch which is complete in the Millbury area starts at a parking lot near the Blackstone Shoppes mall complex and goes north along the river to the parking lot with the WalMart in Worcester. It’s quite an interesting bike path. It wends along the Blackstone River quite a lot, so you get good images of the ducks, turtles, beavers, and other creatures. There are a number of train bridges and walking bridges to get photos of. Plus, the Blackstone River goes right along the train lines here, so there’s ample opportunity to get cool photos or drawings of the trains in various configurations. On our first two trips here we did the southern stretch of the trail, so this time we’ll do the northern stretch. So if you search for that on your GPS, you’ll find the spot. Here’s a map so you can see where it’s located. The parking lot is just north of where Route 20 crosses Route 146 and the Mass Pike. You can get to it by going a bit north on 146 from there and taking your first exit, then taking a right. Alternatively, you can take Route 20 west from 146, then take your first left onto Park Hill Ave, and then two more quick lefts. We’ll meet at the middle parking lot at 10am to gather up everyone, and then go for a gentle walk to explore photography and the path! Call or text Lisa if you’re running late and she’ll let you know where to find us. Please let us know via our contact form if you’re planning on coming, so we know to wait for you. If you forget that’s OK to, just show up! Bring friends! It’ll be a great morning of learning about photography and exploring our Blackstone River history! This is just one part of our month-long Celebrating the Blackstone artistic celebration. Be sure to check out all of our events!